The following remarks were delivered before an emergency hearing at the Standing Committee on Public Safety by MLI Senior Fellow Marcus Kolga, Head of Global Magnitsky Justice campaign Bill Browder, and Chairman of the Human Rights Foundation Garry Kasparov. While the result of yesterday’s election of a new Interpol president had a positive conclusion, serious problems within the organization persist with regards to the politically motivated abuse of Interpol’s notice system by various authoritarian regimes. The Putin regime, lead among them. Abuse of the Red Notice system presents considerable risks for critics of authoritarian regimes, as we’ve heard from Mr. Browder. Canadians too, could become targets of this abuse if reform of Interpol is not undertaken soon - from the Russian, Chinese and other authoritarian member states. In the Russian context, legislation restricting free speech, regardless of borders, can be used to target and convict critics globally, after which their movements can be restricted using Interpol’s Red Notice system. Russian anti-gay legislation that criminalizes public advocacy of gay rights has been used to silence foreign activists in the past. Anyone whose interpretation of Soviet history is divergent from the official Russian state version of history can also be prosecuted. This puts Canadians and other foreigners at risk of potential prosecution in Russia, in absentia and the subsequent risk of application of either Diffusion or Red Notices. The Kremlin has no issue with trying critics in absentia and we’ve seen them do this many times in the past, including the case of Bill Browder and even posthumously, with Mr. Browder’s lawyer, Sergei Magnitsky. Currently, Interpol’s Red Notice system allows the Kremlin and other authoritarian regimes to extend the reach of their repression around the world. And while local authorities are responsible for choosing whether or not to execute these notices, they do represent a significant threat to activists who are at risk of being targeted by laws intended to silence them. For instance, in 2014, Vladimir Putin signed into law, legislation that effectively allows the Kremlin to prosecute and jail for up to three years, anyone who disagrees with its version of Soviet history. The Russian law criminalizes the "dissemination of deliberately false information on the activities of the Soviet Union during the Second World War." The Canadian Central and Eastern European communities, who gather each August 23rd to commemorate the signing of the Hitler-Stalin pact that triggered the coordinated Nazi and Soviet invasions of Poland and the start of the Second World War in August and September of 1939, would potentially all be found guilty under this legislation. In 2016, Vladimir Luzgin, a car mechanic from Perm, was convicted under this legislation for a blog post he wrote, where he stated, factually that both the Nazis and Soviets invaded Poland in 1939. Mr. Luzgin has since applied his case to the European Court of Human Rights. Should Russian authorities in the Kremlin feel threatened by Canadian activists in the local Russian, Ukrainian, Polish or Baltic communities, they could use this same legislation to try them in absentia and apply to use a Diffusion or Red Notice to disrupt their movement or in the worst case scenario, extradite them from a friendly country. Another risk to Canadians is Russia’s anti-gay propaganda legislation, which outlaws any advocacy for gay rights or criticism of State policy - such as the systematic incarceration of gay men in the Russian province of Chechnya into concentration camps. The legislation specifically makes illegal any "propaganda of non-traditional sexual relationships”. Under the legislation, foreigners who are convicted of breaking this law, can be imprisoned for up to 15 days. It should be noted that China adopted similar laws in 2015 banning any media depicting "unnormal sexual relationships including homosexuality”. Despite the fact that Interpol’s Article 3 strictly prohibits any intervention or activities of a political or discriminatory nature, regimes like the one governed by Vladimir Putin continue to use Interpol’s notice system to target its critics. The same report states that for the Red Notice system to properly function it “relies on mutual trust between the various actors and the belief that member States would only use INTERPOL in good faith, solely for the purposes for which the Organization was established”. When it comes to the Russian government, this trust has been irreparably damaged by its serial use of Red Notices against multiple political targets, including Mr. Browder. The severity of the “crimes” of those targeted by Red Notices, applied by authoritarian regimes varies as well. Alexander Lapshin, a Ukrainian travel blogger, was arrested in Minsk on a political Red Notice applied by the government of Azerbaijan in December 2016, for commenting on visits he took to Nagorno-Kharabakh in 2012. Natalya Bushueva was detained in Moscow based on an politically motivated Uzbek Red Notice in July 2016. She was a correspondent for Deutsche Welle, who covered the Uzbek government’s massacre of protestors in Andjian in 2005. 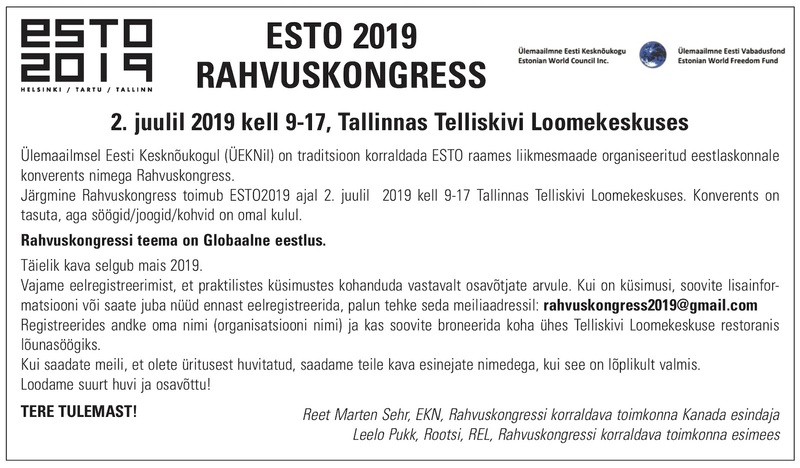 In 2013 Russia issued a Red Notice for Estonian parliamentarian, and a leading critic of Vladimir Putin, Eerik-Niiles Kross, days before an election he was participating in. The Red Notice was based on a bizarre Kremlin concocted claim of piracy and intended to silence him. It should also be noted, that on Tuesday, the host of a popular Russian news panel show, Olga Skabeeva told viewers that once the Kremlin takes over the Presidency of INTERPOL“we'll put the entire government of Ukraine in prison." My own activities here in Canada and abroad, advocating for Russian human rights, opposition activists and for Canadian Magnitsky legislation, have made me a target of Kremlin trolls and propagandists. As early as 2008, I received death threats for publicly criticizing the Kremlin’s invasion of Georgia and the subsequent occupation of South Ossetia and Abkhazia. In 2016, I organized a conference in memory of assassinated Russian opposition leader Boris Nemtsov, at the University of Toronto. Bill Browder, Vladimir Kara-Murza and Boris’s daughter, Zhanna, and Irwin Cotler were among the panelists. Shortly after the event, the Kremlin lawyer who organized the June 2016 Trump Towers meeting at the center of the US Mueller probe, Nataliya Veselnitskaya, publicly criticized the event, motivating a member of the Russian Duma, Georgy Federov to issue a formal request to Russia’s Prosecutor General, Yuri Chaika, to investigate my activities in Canada. While I’ve not run into any immediate problems as a result of this, it does demonstrate the Kremlin’s willingness to threaten activists and critics regardless of where they are. I hope that this government and committee will initiate a much deeper investigation into Interpol reform and the notice system that is being so readily abused today. I thank you for inviting me today to testify and for arranging this very important emergency hearing.